About The Great Wall of China. The Great Wall of China, today, is mostly known for its attraction to tourists who travel to China (and Chinese who live in areas not snaked through by the towers and bricks of the wall.) However, the influx of visitors, along with weather and neglect, are gradually destroying the crumbling fortification. Sections (especially near Beijing) are visited by tourists in large numbers. People have carved names and other messages into the bricks, and painted graffiti along the inner portion of the wall. Less than 30% of the wall is in good condition today. Since The Great Wall was named as one of the New Seven Wonders of the World, it is hoped that greater effort will be put into its maintenance and preservation. An additional blight is brought on by unsightly restaurants, hotels, and souvenir shops close to the wall. Whole sections of this structural treasure have been strewn with garbage--which then brings scavengers into the areas. The Chinese government has taken measures to protect The Great Wall from vandalism. They also hope to direct and monitor commercial development along the length of the wall. It isn’t just man-made problems that threaten it. The solid, well-built brick structure faces major environmental degradation. 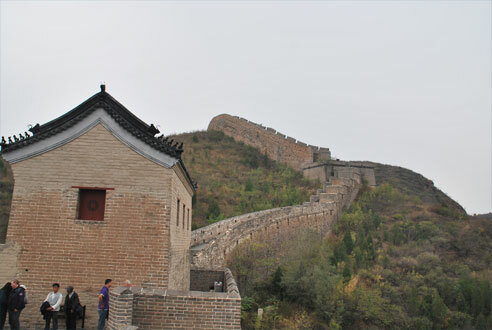 As recently as September 2009, local cultural administrations within China were being required to put more effort into protecting the wall. One of these, Gansu Provincial Bureau of Cultural Relics, is working hard to raise funds to pay for the expenses of caring for the portion of the wall within their province. There are also requirements for formulating long term protection plans, conducting much needed maintenance, educating travelers and residents regarding safe visiting practices, and providing proper signage. 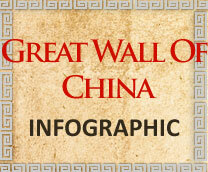 The Great Wall has played host to celebrities and dignitaries from all over the world. It is an impressive testament to human persistence, ingenuity and power. Contrary to popular legend, the Wall is not visible from the moon, nor is it likely to be spotted even from near earth orbit – a fact that is still in contention. What is a fact, however, is that this edifice has been a symbol of pride for China for centuries and is likely to remain so for as long as people are around to wonder at the structure.